The luxe Glenridge Estates home at 4002 Park Ln. 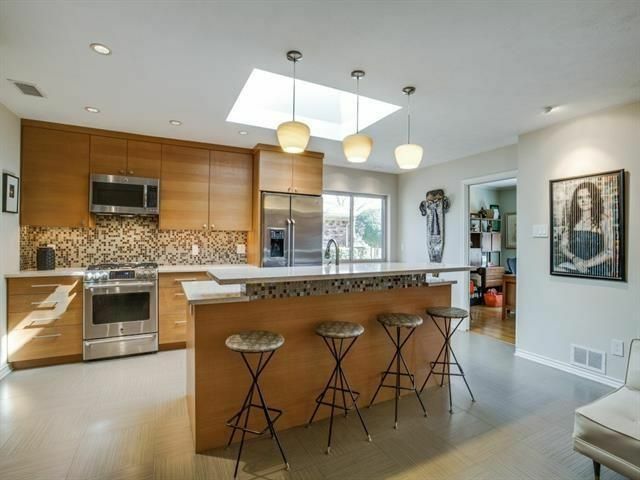 is one of our five featured open houses this week. This week, our houses range in price from $297,615 to $765K. A swoon-worthy Glenridge Estates traditional, pictured above, tops our roundup. 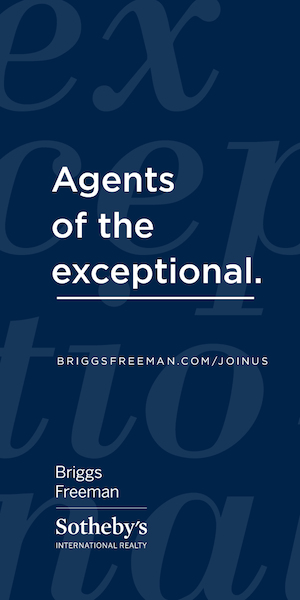 You’ll also find a four-bedroom Kiest Forest home on a creek lot in Oak Cliff, a Prestonwood West garden home with soaring ceilings, and more! Open house: Sunday, Feb. 26, 1-3 p.m. 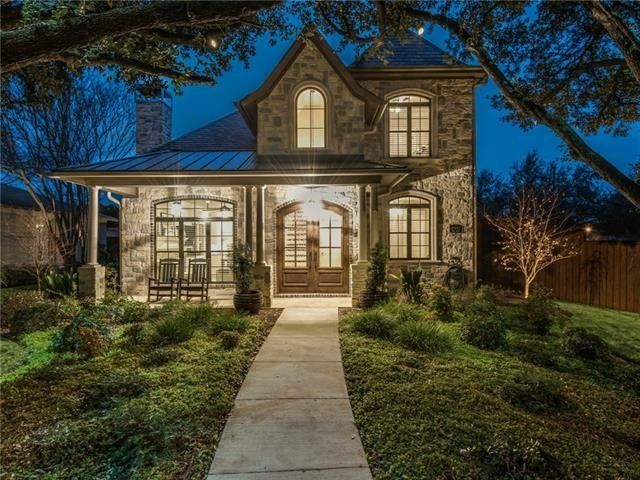 Prepare your smelling salts when you enter the Glenridge Estates traditional in Midway Hollow at 4002 Park Ln. It is swoon-worthy, with 2,175 square feet of luxe finish-outs, thoughtful spaces, and beautiful design. 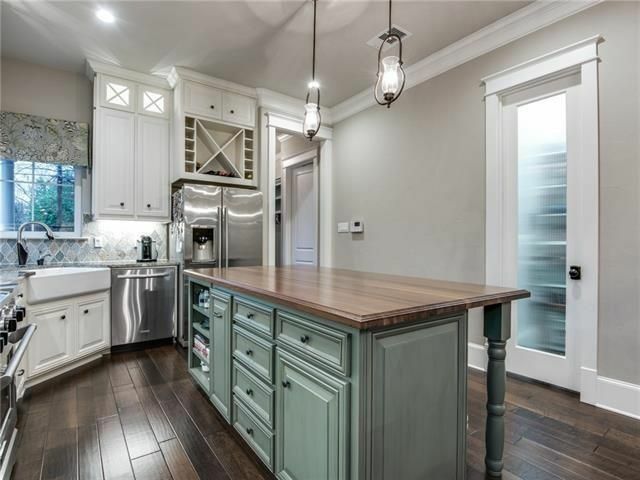 Located near Walnut Hill Lane and Midway Road, the curb appeal is elegant, and the interior keeps up that look with hardwood floors, a palette of grays and whites, and a positively divine kitchen. This home has three bedrooms, two full bathrooms, one half bath, and two stories, built in 2013. 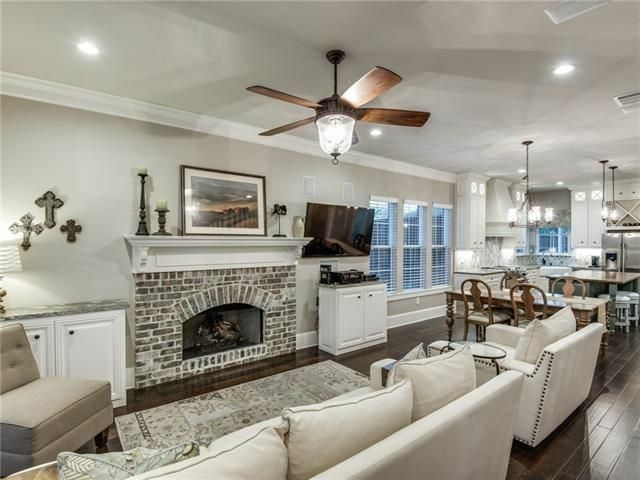 The front living room has a brick fireplace, recessed lighting, and ten-foot ceilings, with an open floorplan leading to the designer eat-in kitchen. 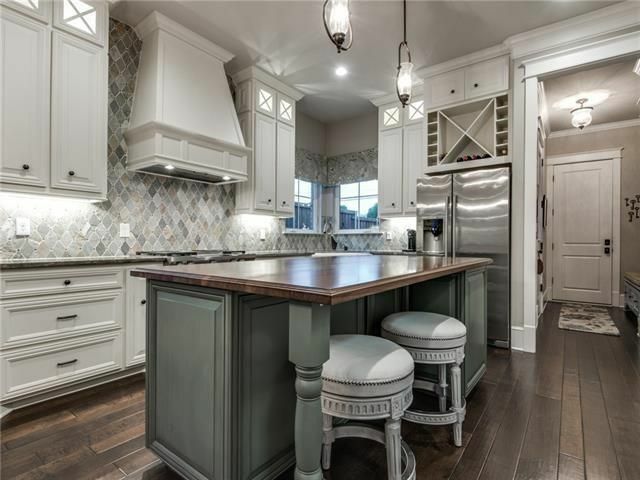 There, you’ll find light gray granite countertops, a white farm sink, wine storage, a natural stone backsplash in an arabesque tile, an island, and stainless steel appliances, including a gas range. Hardwoods extend into the main floor master with a spa bath with dual vanities and a contemporary soaker tub. 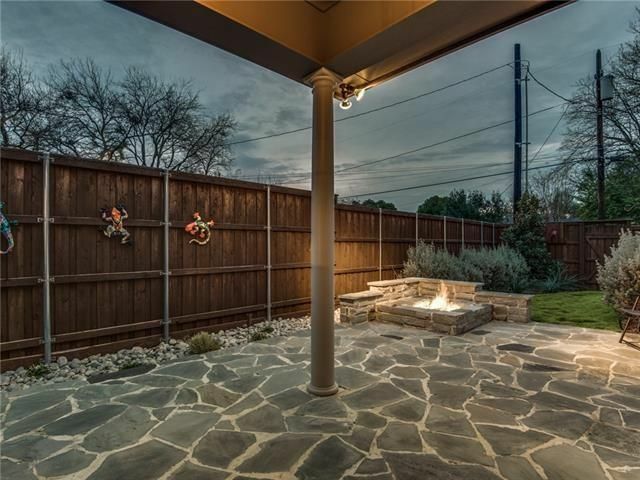 The home also offers and electric gated entry, fenced backyard, covered stone patio, and fire pit. 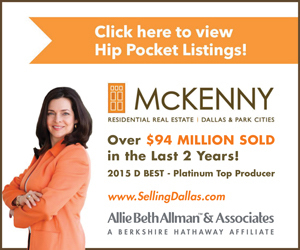 This home was listed Feb. 15 by Ashki Clements with Briggs Freeman Sotheby’s International Realty for $765,000. Open house: Sunday, Feb. 26, 2-4 p.m. 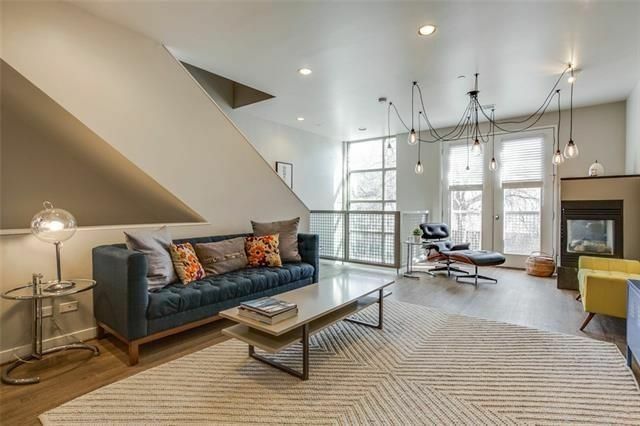 If a hip Uptown location and rooftop deck with downtown views are on your wishlist, look no further than the Heights Of State Thomas townhome at 2923 State St., near Central Expressway and N. Hall Street. 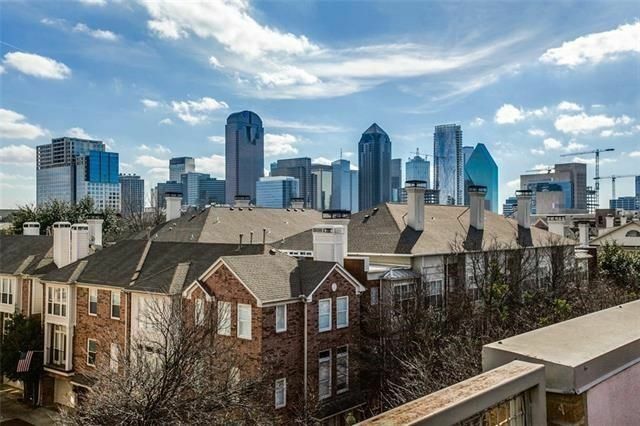 This is city living defined, with two bedrooms, two full bathrooms, one half bath, and 1,861 square feet on four stories, built in 1998. 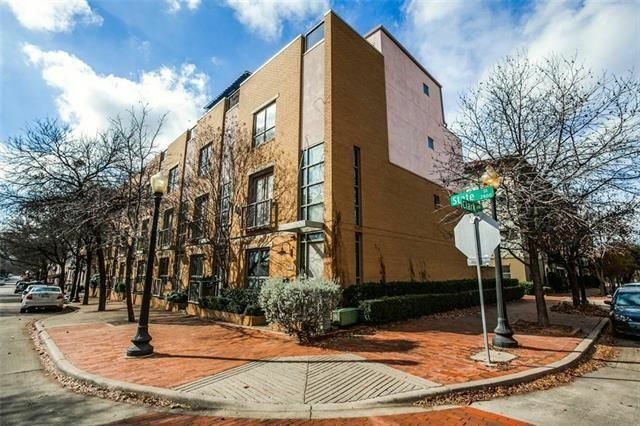 A wall of windows on the first floor leads up to the lofted area above, and a spacious second floor living area offers an open concept kitchen with cute green cabinets, granite countertops, and stainless steel appliances, including a gas range. The living area features a gas log fireplace, designer industrial chandelier, and recessed lighting. 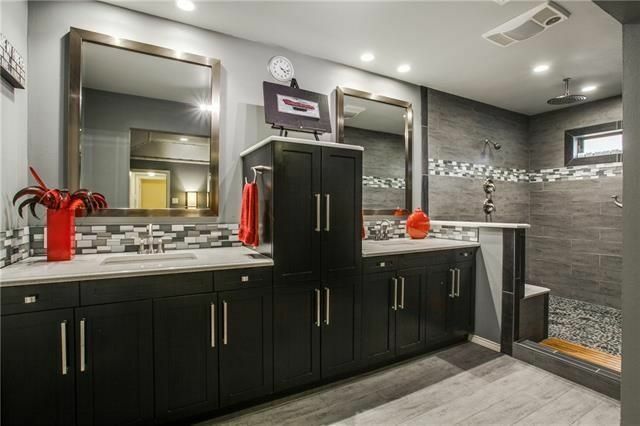 On the third floor, the large master suite offers a recessed nook for a desk or dresser, designer chandelier, a stylish gray paint color, and a bathroom with a soaker tub and two sinks. The rooftop deck has a pergola, space for multiple seating areas, and panoramic downtown views. 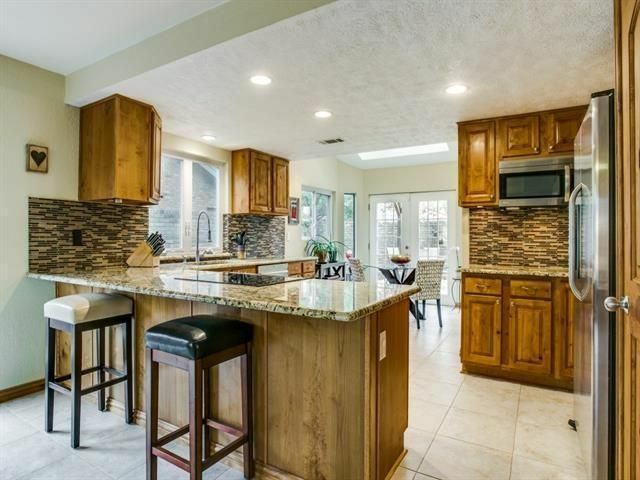 This home was listed Feb. 10 by Clay Stapp with Clay Stapp + Co. for $550,000. Open house: Saturday, Feb. 25, 2-4 p.m. and Sunday, Feb. 26, 2-4 p.m. 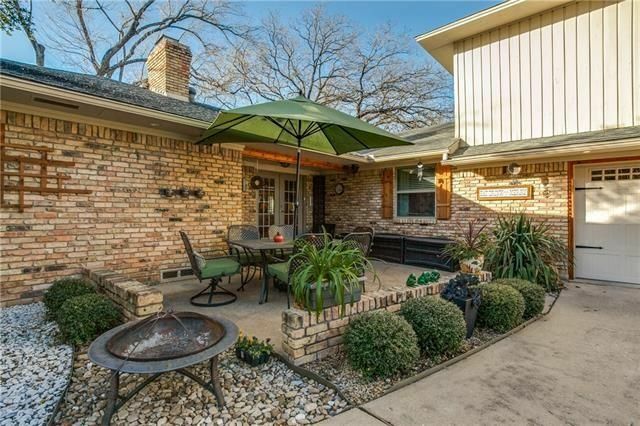 The Oak Cliff creek lot home at 3216 Kiest Forest Dr. is a colorful, fun space with lots of updates, like new board-on-board fencing, retaining wall, electric gate, wood deck, storage building, low-E windows, . It’s just ten minutes from Bishop Arts, located near W. Kiest Boulevard and S. Westmoreland Road in Kiest Forest. 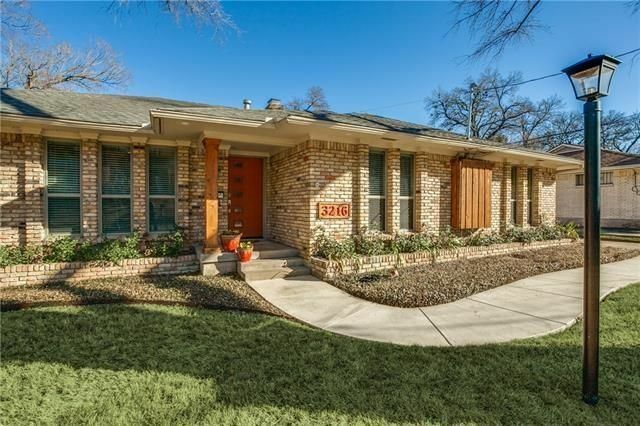 This home has four bedrooms, three full bathrooms, one half bath, an office, and 2,901 square feet on two stories, built in 1967. It sits on almost a third of an acre. 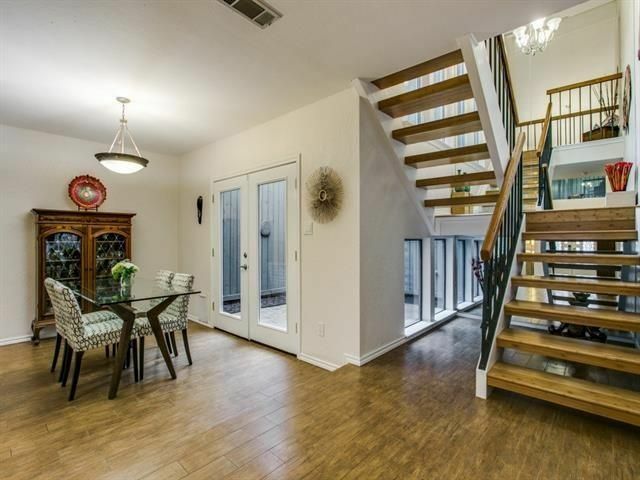 There are two living rooms and two dining rooms, including a large family area with a gas fireplace and built-in cabinets. 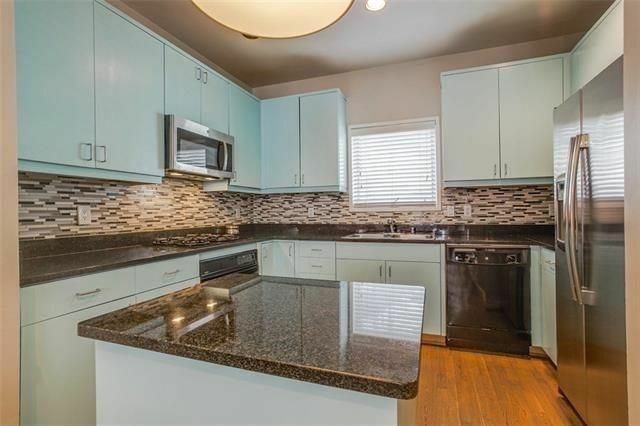 The eat-in kitchen is updated with quartz countertops, white Shaker-style cabinets, and stainless steel appliances. 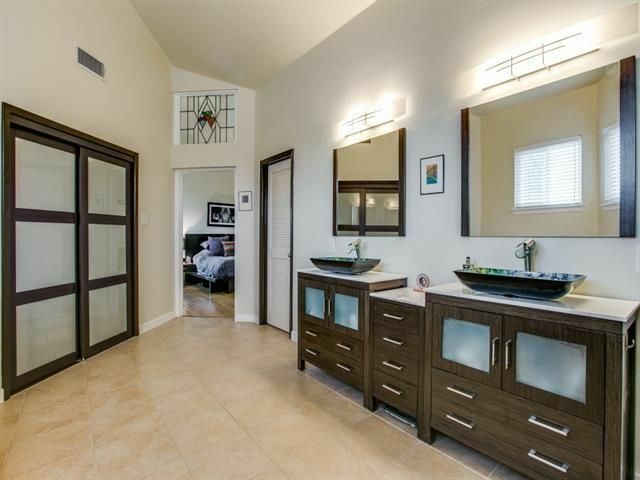 The master suite is also renovated with an oversized rain shower, new cabinets, glass tile, and two large closets. 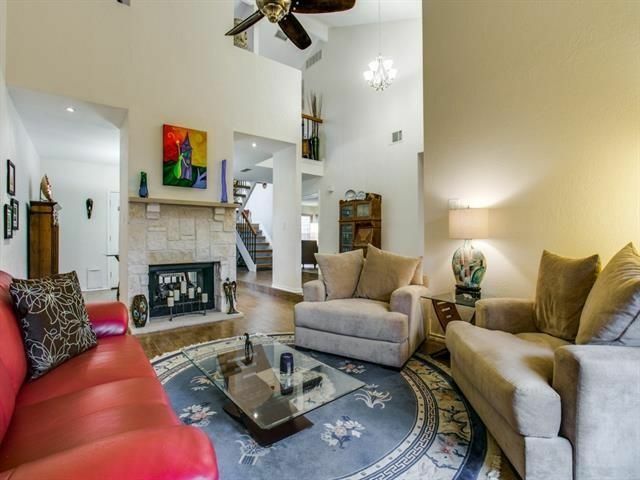 This home was listed Feb. 17 by Ric Shanahan with Keller Williams, Turtle Creek for $400,000. 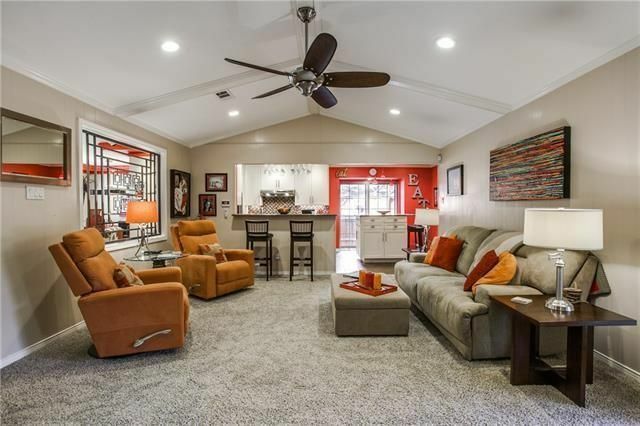 The home at 17615 Sunmeadow Dr. has the feel of a garden oasis with four courtyards, light-filled soaring interior spaces, two living and two dining areas, and an open kitchen-breakfast-family room. 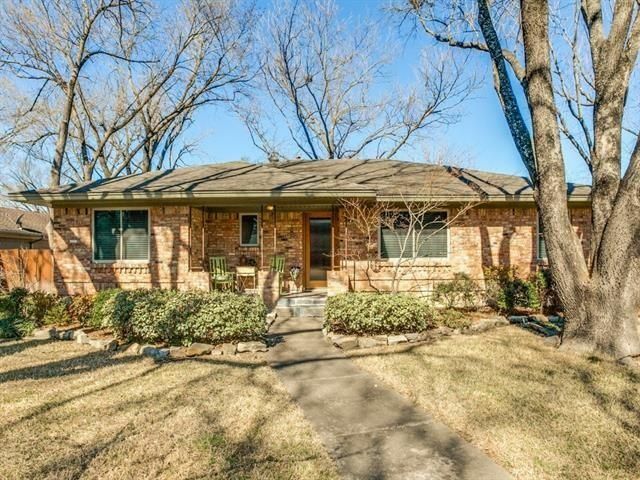 It’s near Preston and Frankford roads in Prestonwood West with two bedrooms, two full bathrooms, one half bathroom, and 2,374 square feet on two stories, built in 1983. 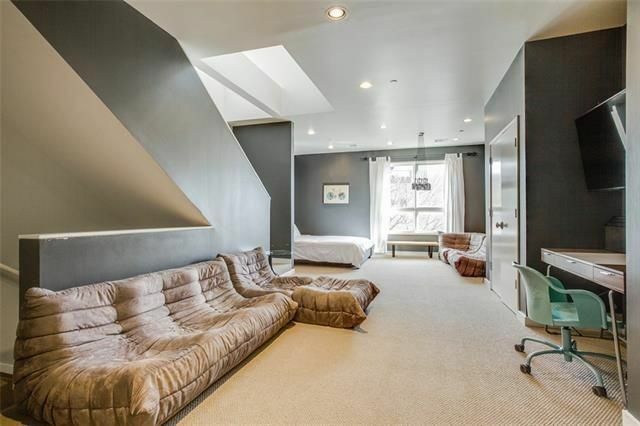 A loft could easily be converted into a third bedroom. The home has recent bamboo flooring, a see-through fireplace in the living-dining room, and a mosquito-proofed arbor on the front courtyard. The spacious kitchen offers granite countertops, stainless steel appliances, recent cabinetry, a pantry closet, and undercounter lighting. 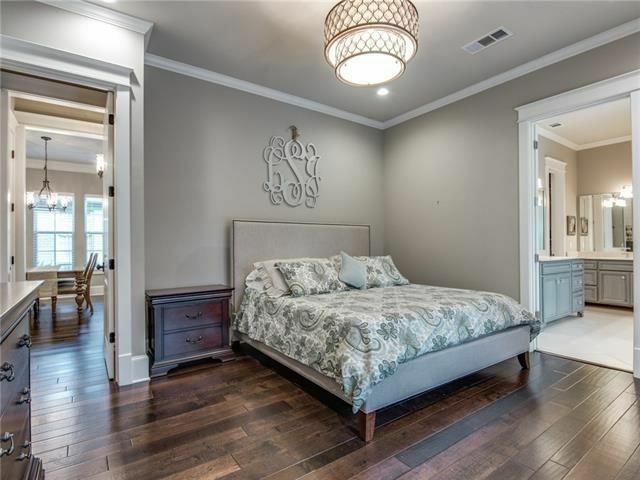 A grand master suite has soaring ceilings, stained glass window above the bathrooms, frameless glass shower, clawfoot bathtub, separate vanities, walk-in-closet, and designer doors. 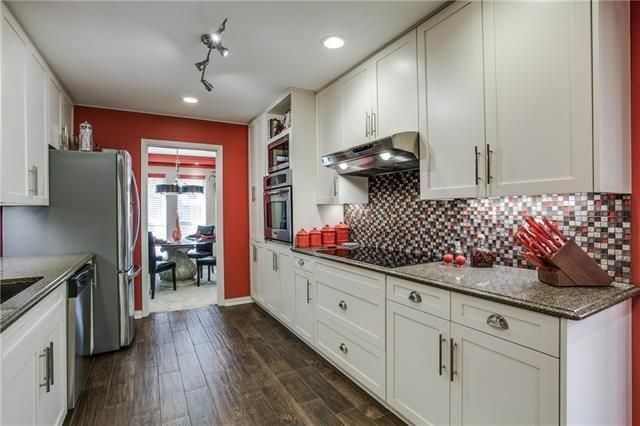 This home was listed Feb. 22 by Jim Berrong with Dave Perry-Miller InTown for $297,615. Monthly HOA dues are $105. Open house: Saturday, Feb. 25, 2-4 p.m. 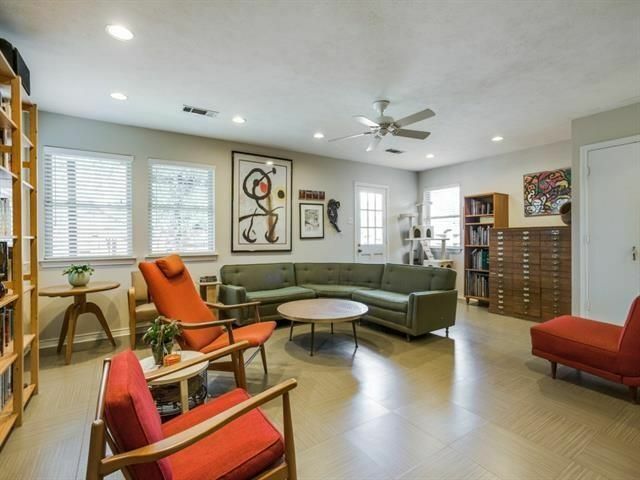 The midcentury ranch at 10249 Vinemont St. is located in Eastwood Estates, near E. Lake Highland Drive and Peavy Road near White Rock Lake. 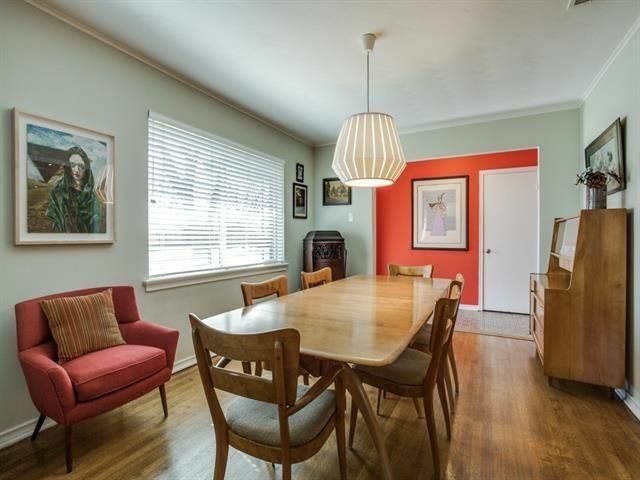 Built in 1960, it has a distinctively retro vibe, but with great updates that make it appealing to the modern buyer. 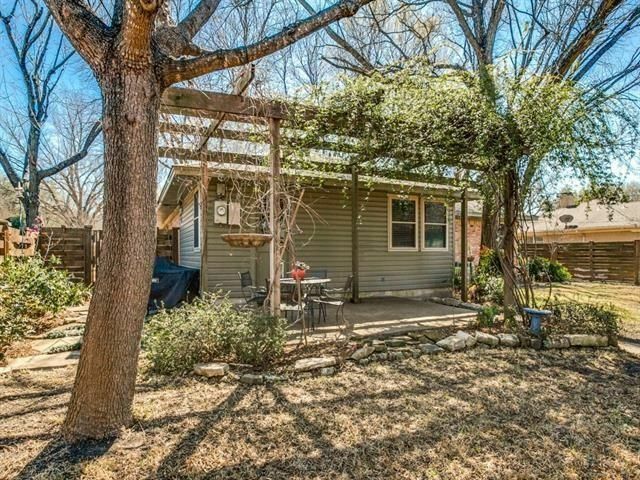 This home has three bedrooms, two bathrooms, and 2,192 square feet on one story. The yard features mature shade trees with landscaping and a basket weave privacy fence. The kitchen is a 2010 award-winning midcentury modern design with natural bi0-based vinyl floors, recycled glass backsplash, Caeserstone quartz countertops, rift-cut white oak cabinets, brushed aluminum toe-kick on cabinet bases, soft-close drawer glides, soft-close door hinges, trash pullout, vertical tray storage in the large island, a skylight, and stainless steel appliances, including a gas range. The home features original oak hardwood floors in the dining area and bedrooms, newer HVAC and electrical panel, and a new water heater. 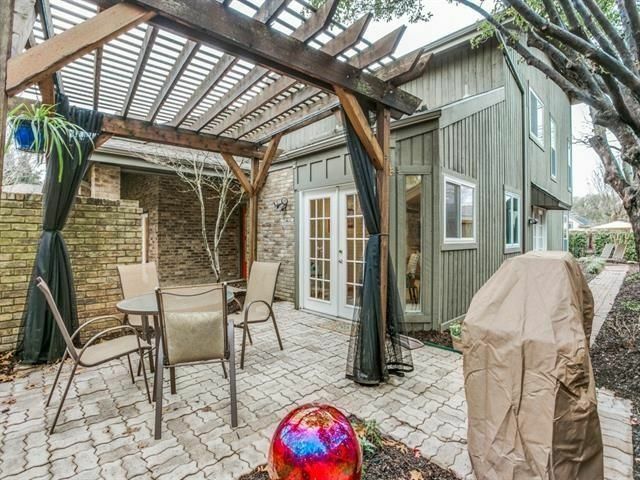 This home was listed Feb. 23 by Rebecca Williams with Nathan Grace Real Estate for $440,000.